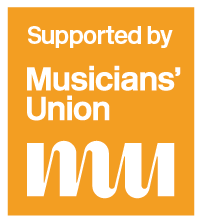 Salisbury Area Music Co-operative (SAMC) was formed as a result of the closure of Wiltshire Music Service at the end of August 2015. Providing teachers in over 50 primary and secondary schools across Salisbury and South Wiltshire, SAMC is a team of highly skilled and experienced self-employed music teachers offering professional music tuition of the highest standard. We offer individual and small group instrumental lessons, whole and half-class First Access programmes, ensemble, vocal and curriculum tuition. All SAMC members are former Wiltshire Music Service teachers and Associate Providers in their own right. The Co-operative is wholly owned by its members and run by an elected board of Directors. Our administration is able to either invoice directly to parents or via schools. If you are an instrumental music teacher and are interesting in joining our Co-operative, please do contact us to find out more.